Home → Programme → Read PL! ReadPL! 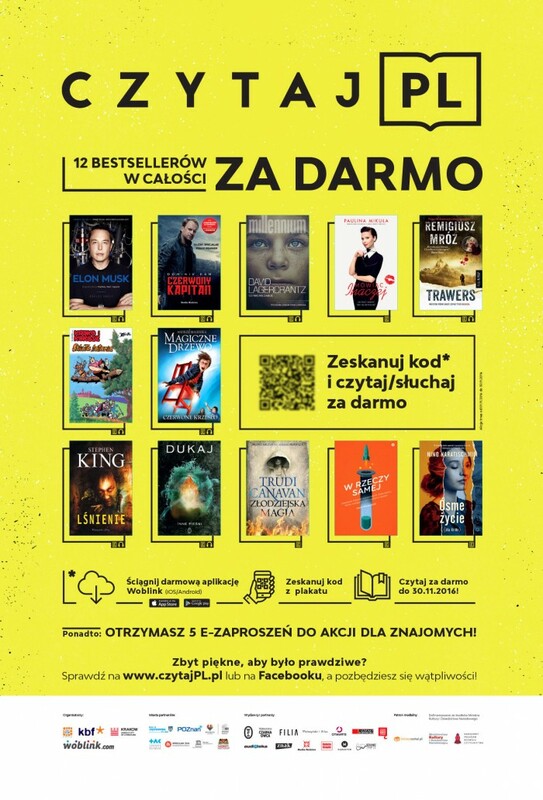 is a nationwide e-book and reading promotion campaign that ran in 6 major cities in 2015: Krakow, Gdańsk, Katowice, Poznań, Warsaw and Wrocław, and in 16 cities in 2016. ReadPL! is a strategic project as part of the Krakow UNESCO City of Literature (KUCL) program, aimed to address low rates of reading in Poland (according to a national study 63% of Poles did not read 1 book in 2015) and the issue of reaching new and younger readers, who increasingly use technology. The project fulfills four out of ten strategic priorities of the KUCL program, including: to create linkages between literature, new media, creative industries; to influence reading trends; to support the development of the publishing sector; and to initiate and support the presence of literature in public spaces. It started out as a pilot project called “The Virtual Library of Krakow”, which later evolved into “ReadKRK!”, a project designed as an e-book lending library. To use the e-book library, one can download the project’s mobile application onto smartphone or tablet and then scan with its help the QR code placed on the poster alongside the selected book cover. With Virtual Library, users of the mobile application could download only fragments of books. Two editions took place in 2013. ReadKRK! expanded user’s options in 2014. Users were able to download one title at a time, which remained active for 30 days. After finishing the book, they were able to download another, with the newly acquired book replacing the previous one. There were 3 editions of the ReadKRK! campaign, each including 10 of the latest available e-books on the market. 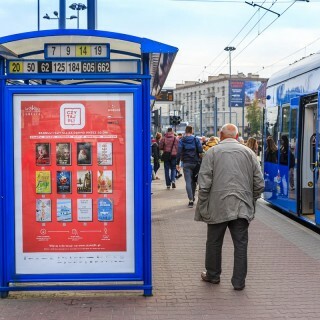 The campaign, previously taking place only in Krakow, was expanded to other major cities in Poland, and a total of 300 public transport stops in Krakow, Gdańsk, Katowice, Poznań, Warsaw and Wrocław were included in 2015. 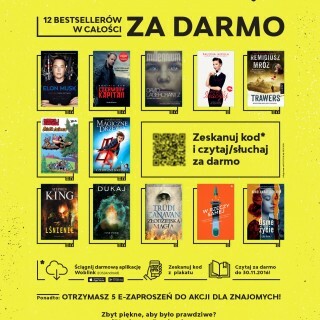 In each of these places, throughout the entire month of October, one could rent one of the twelve new, best-selling books by leading Polish and international authors, including Marek Krajewski, Łukasz Orbitowski, others. In 2016, the project was expanded on a similar principle to a total of 16 Polish cities! The outcomes of the Virtual Library of Krakow (2013), included 2 editions with nearly 10,000 downloads each of 70 titles and partnerships with 30 publishers from all over the country and 4 of the largest distributors of e-books. ReadKRK! (2014) involved 3 editions exclusively in Krakow and featured free books fragments that reached nearly 20,000 downloads and engage nearly 20 publishers. Thanks to the unprecedented cooperation with partner cities, ReadPL! grew into a reading promotion campaign on a national scale. 20,000 e-books were rented during one month. 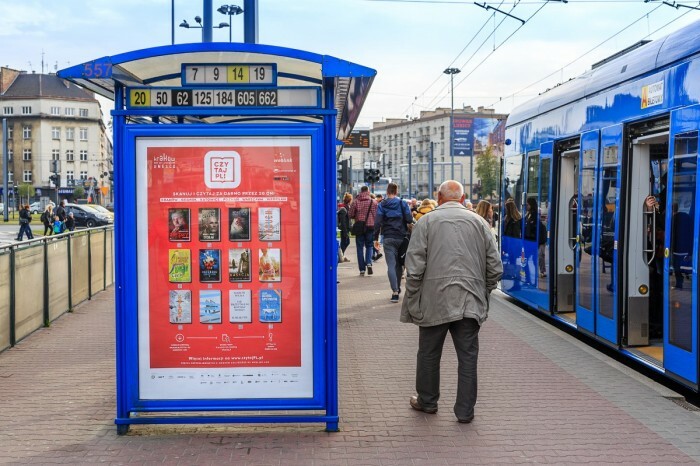 12 bestselling titles were presented at over 300 bus stops in Krakow, Gdańsk, Katowice, Poznań, Wrocław and Warsaw. The media has been especially generous to this project. The 2016 ReadPL! campaign had over 500 articles written about it! 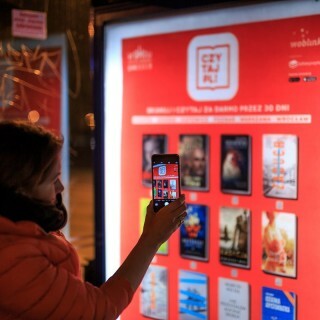 Woblink.pl, a Krakow-based online e-book platform that helped to develop the mobile application and establish contact with relevant publishers and media partners. Stakeholders also include nearly 20 publishing houses that made the e-books rights and licences available for free. 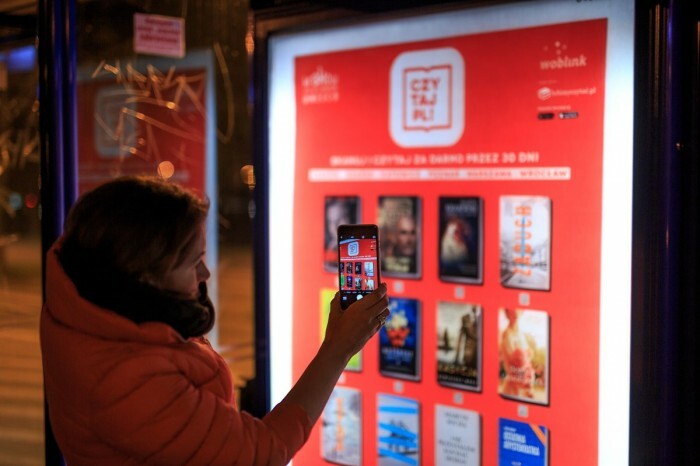 The partners of the campaign were: the Polish Book Institute, the National Programme for the Development of Reading (Ministry of Culture and National Heritage), KGHM (corporate sponsor), Lubimyczytać.pl (literary website), jakdojade.pl (local transportation app) and media patrons.